Day 3: A picture of your cast from your favorite show. 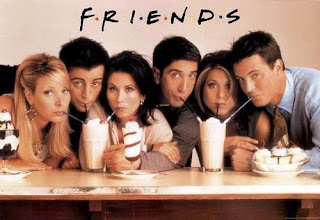 I love Friends!! It hasn't been a since childhood favorite, but really I guess I started watching it in High school and then a lot in College! 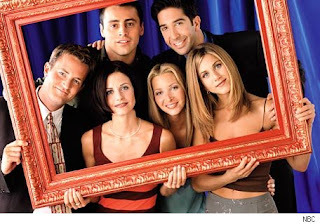 I own all ten seasons and because we don't have cable we watch Friends a lot! I even got Meguell hooked on it! We refer things back to Friends episodes all the time! And it is so fun that we both get the jokes! And sometimes our friends around us get the joke too and it is so much fun! Newer PostDay 4: A picture of your favorite night. Older PostDay 2: A picture with you and the person you have been closest with.